The robbers also used the man's online banking account to place bets at a gambling den. 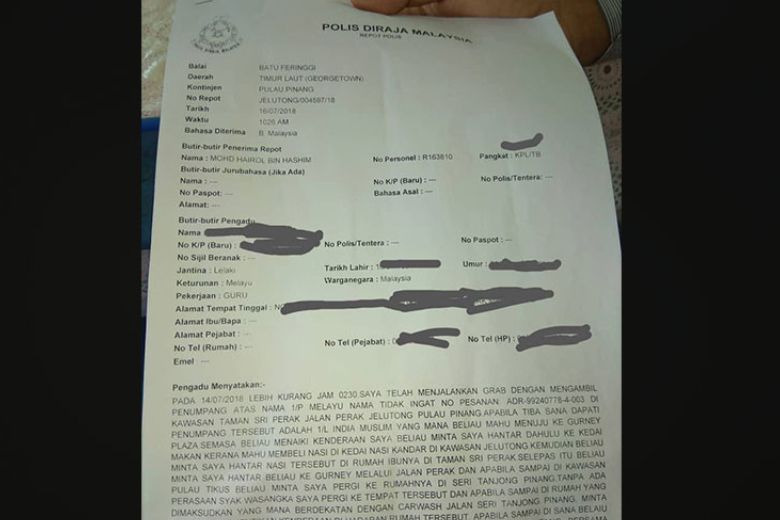 On 16 July, the victim made a police report that went viral on social media explaining the details of his long ordeal, reported MalaysiaKini. A shot of the police report that was made by the driver. This is what allegedly happened. The suspect booked a ride and asked the driver to take him to two locations before heading to Batu Ferringhi at 2.30pm on 14 July. "He asked for two detours, one supposedly to buy nasi kandar for his mother and the second was to Tanjung Pinang, a two-kilometre ride from Gurney Plaza, to his house," said the driver in his report. 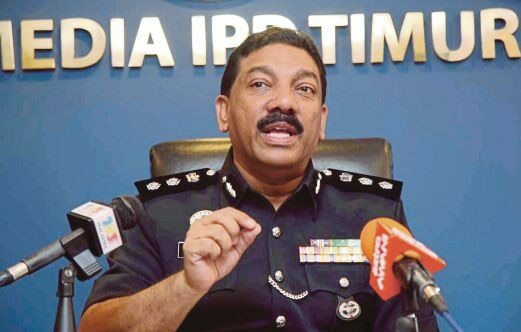 According to Free Malaysia Today, a police investigator said that the suspect told the driver that he wanted to look for transvestites in Gurney Drive to which the driver obliged. "They took out my car keys and pulled me out. They then searched my car, took my wallet and two mobile phones," he continued. The two "police men" then accused the driver of being a member of a prostitution syndicate and also pretending to be an immigration officer. They proceeded to tell him that he can be freed if he gives them RM3,000, to which he said he did not have. The men then asked for RM500 instead. Desperate to get out of the situation, the driver told them that he did not have the money on him but that he would ask his friends for help. He was then forced to lie to his friends telling them that he got into an accident and they later banked in RM500 into his account. The victim was then ordered to take all of his money out from a bank at Northam Road, a total of RM300, and was taken to a gambling den at Jalan Anson. The robbers were said to have used the man's online banking account to place bets. "They also took me to a pawn shop in Jalan Jelutong where I was forced to pawn my iPhones 6s for RM630." Before letting him go, the thieves took his remaining cash and threatened to hunt him and his family down if he were to make a police report. Northeast district police chief ACP Anuar Omar said that the man caught was wanted in Kuala Lumpur for two cases of theft and extortion. In addition, he also had two criminal records for cheating in 2012 and 2016. 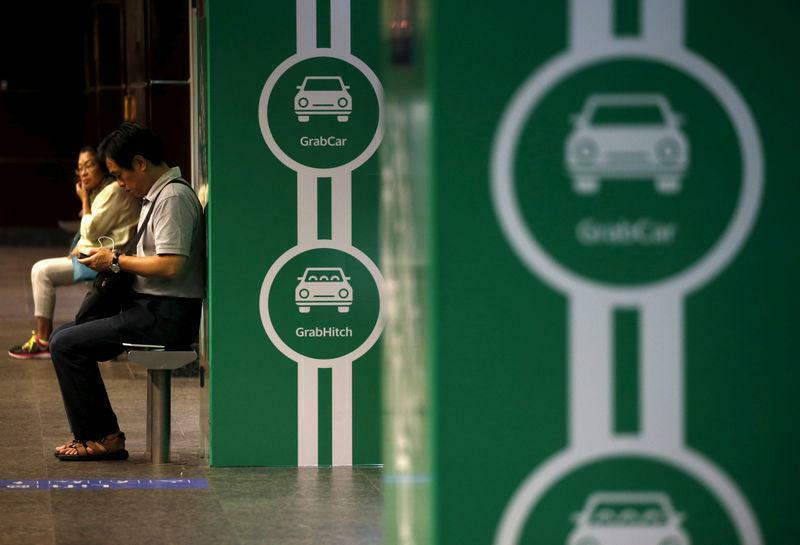 A Grab spokesperson is also reported to be looking into the case. The girl was cycling around the building complex after school when she was first sexually assaulted. The lack of demand for hard drives is what led to its shutdown.